Home » lucknow news » Sangeet Som and Amar Singh plotting Azam Khan's assassination? Sangeet Som and Amar Singh plotting Azam Khan's assassination? 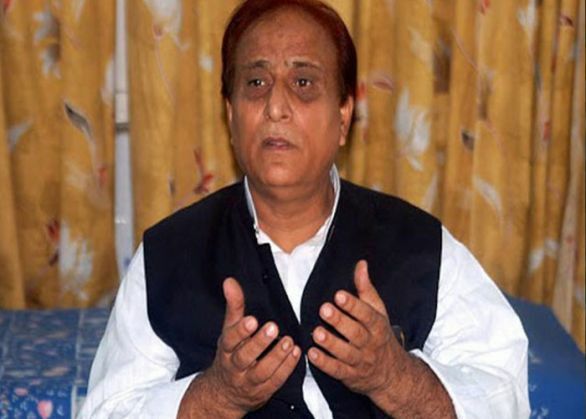 Samajwadi Party's Muslim face and cabinet minister Azam Khan has levelled fresh allegations against former party colleague Amar Singh and controversial Bhartiya Janta Party (BJP) MLA Sangeet Som that the duo are plotting to kill him. Khan said, "Amar Singh and Sangeet Som are plotting to murder me, they can do whatever they want to do." Referring to Som's Z+ security, who is one of the accused in the Muzaffarnagar riots, Khan said that he has an army of commandos at his disposal. Khan's statement came after Som had earlier alleged that the SP minister was trying to physically harm him, Amar Singh had also said that he feared for his life from Khan as he was a powerful leader. Som had also alleged that Khan was involved in terror activities. Commenting on Azam Khan's allegations, state spokesman of BJP, Vijay Bahadur Pathak, said Chief Minister Akhilesh Yadav should ask police to provide adequate security to Khan. Pathak said, "While on one hand it is worrying that even a minister of state is not safe in the regime of his own party, on another, the statements seem to be a result of the possible entry of Amar Singh back into the party that Khan is trying to stop."